PHOTOS: Jillian Rose Reed Stunning In Black & White Dress At Elton John Post Oscar Party! Awkward actress Jillian Rose Reed looked amazing as she attended the 23rd Annual Elton John AIDS Foundation’s Oscar Viewing Party on February 22nd in West Hollywood, California. This girl definitely got style! With this perfect dress from BCBG, shoes and clutch from Carlo Pazolini and her fabulous jewelry from Forevermark Diamonds, no doubt she was the belle of this party! Check out more pics of Jillian below! PHOTOS: Chloe Grace Moretz Looking Casual Visiting Salon! Carrie star Chloe Grace Moretz was spotted yesterday, February 5th, visiting the The Andy LeCompte Salon in West Hollywood, California with a male companion. Chloe looked great in casual denim and tank top strolling with her friend. PHOTOS: Nick Jonas Grabs Lunch With Brother Joe Jonas! Siblings Nick Jonas and Joe Jonas were spotted leaving King’s Road Cafe for lunch in West Hollywood, California today (February 2). Be sure to check out more pics of Nick and Joe leaving together from lunch in the gallery below! Joe Jonas Has Lunch At King’s Road Cafe! Pics Here! 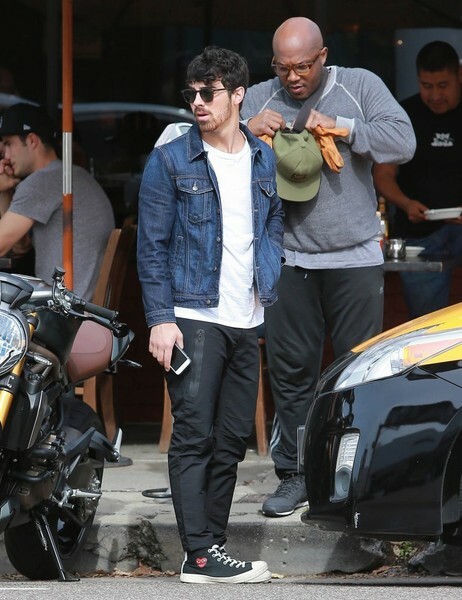 Singer Joe Jonas is seen leaving King’s Road Cafe after enjoying lunch on January 28th in West Hollywood, California. Joe, who is sporting a much shaggier look these days, is reportedly dating someone new after recently breaking up with longtime girlfriend Blanda Eggenschwiler. The Shy Justin Bieber Hides His Face From Cameras Leaving The Salon! Pics Here! 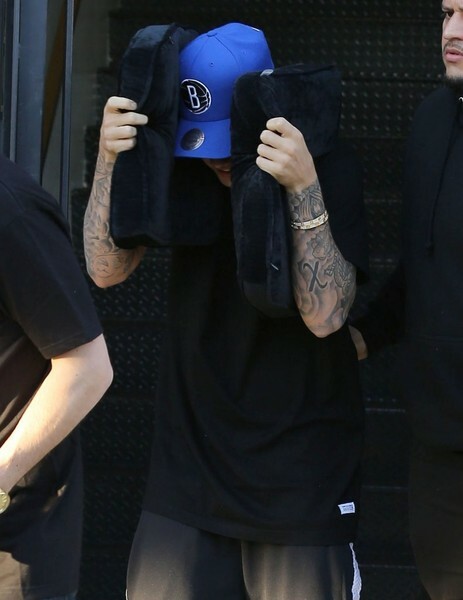 Singer Justin Bieber hides his face yesterday as he was leaving the Nine Zero One Salon on January 27th in West Hollywood, California . Justin used two pillows to hide his face. It’s official he is now the biggest Diva in the entertainment world.